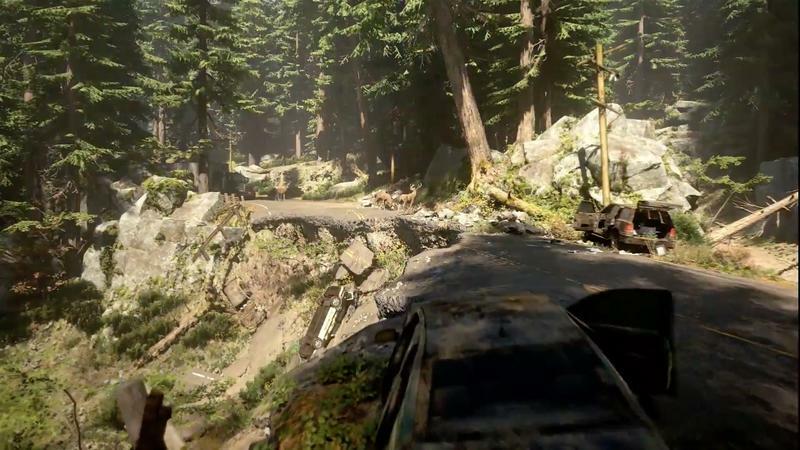 Back in 2016, Sony Bend showed off a sterling gameplay demo for survival game Days Gone, in which protagonist Deacon St. John frantically runs through a lumber yard with dozens of undead on his heels. It was a frenetic, wildly gritty showcase that many people soon referred to as Sons of Anarchy meets The Walking Dead. But Days Gone’s time in the spotlight was short-lived. After a relatively quiet 2017, hype around the title quickly died down. And then news hit that the game would be delayed to an undetermined time in 2019. 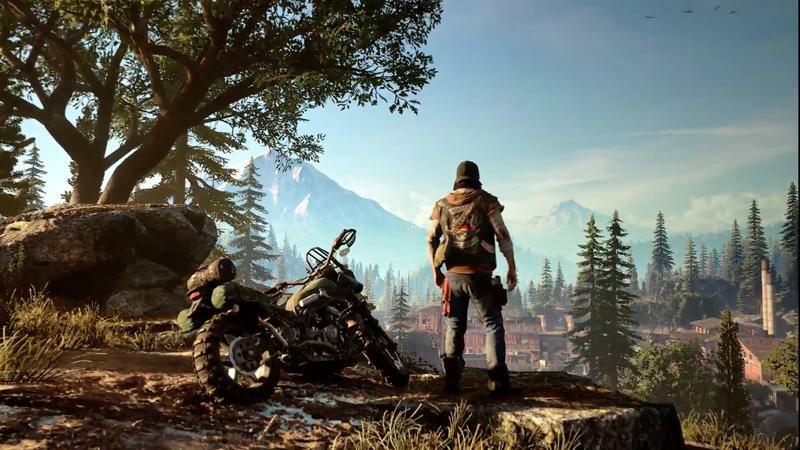 Add in the fact that another little-known survival game from Naughty Dog is on the horizon, and suddenly Days Gone is fighting more than just hordes of undead. Now, Sony Bend has to grapple with sky-high expectations and prove that Days Gone is more than just an impressive demo. At this year’s E3, Sony has already confirmed it’s going to show off its “big four,” which includes Death Stranding, Spider-Man, Ghosts of Tsushima, and The Last of Us Part 2, the latter of which will be Sony’s centerpiece of the show. Notice how Days Gone isn’t part of the big four despite being a PlayStation 4 exclusive. Does that mean Sony doesn’t have faith in the upcoming title? Not exactly. In fact, Sony Bend invited press to play a small section of the game ahead of E3, just to remind everyone that the developers are working diligently on bringing the title to market. The roughly 30-minute demo was very much in an alpha state, so what we played won’t be representative of the final experience. Still, I’m a little surprised Sony let people play it all, because it’s in pretty rough shape. That doesn’t mean I didn’t enjoy my time, but Sony Bend has a long road ahead. 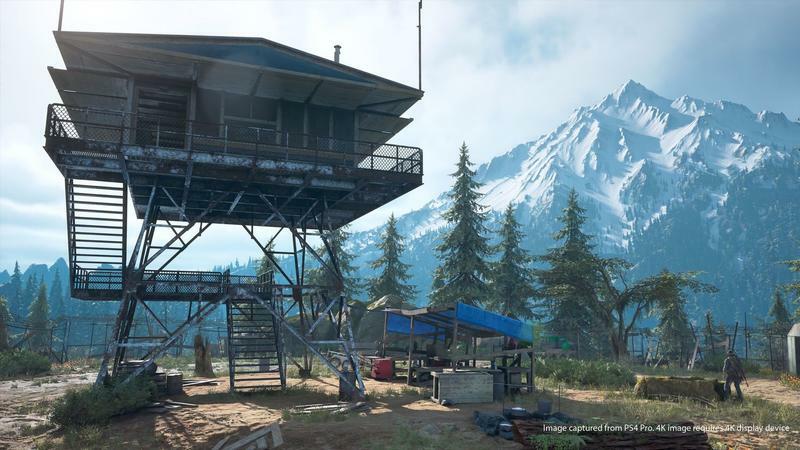 Bearing in mind that Days Gone is in alpha, it’s unfair to focus on the negatives, like the fact that I saw the game freeze multiple times, or that glitches were prevalent. 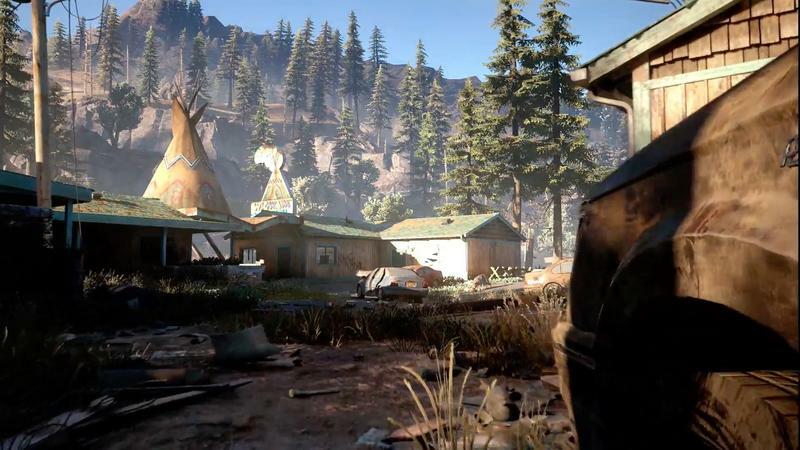 Rather, playing Days Gone gave us a much better feel for what to expect from Sony Bend’s apocalyptic open-world, which features a complex upgrade system, numerous skills to learn, and more. One of the game’s most important tools is Deacon’s motorcycle, which is necessary for getting around the vast open world. Because “freakers”—Days Gone’s version of zombies—lurk around every corner, walking is an easy way to get yourself killed. But even riding your hog is dangerous. One lunge from a freaker and you could be hitting the pavement. And you can’t just mow freakers down like you might in Dead Rising. 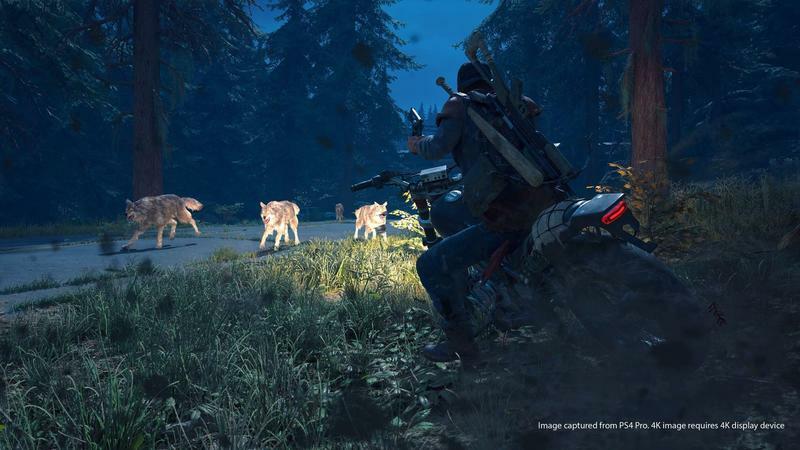 Days Gone is a more grounded and realistic take on the apocalypse, which means your bike—and Deacon—will take damage if you try driving straight through a horde. That means players will be going off the beaten path more often than not, trying to find ways to navigate the world. But avoiding freakers is only a small part of the many problems Deacon will encounter in Days Gone. You also have to pay close attention to the health of your bike, along with how much fuel you have. If you start running low, you’ll have to loot a gas canister, which is not an easy thing to find when there are no gas stations. That’s just one of the many mechanics players will have to juggle. Days Gone also includes a deep crafting mechanic. As you find recipes, the loot you find can be put toward more complex weapons, like molotov cocktails. Sony Bend says more sophisticated recipes can be found as players progress in the story, making exploration very important. Items can be crafted by bringing up the weapon wheel. It’s pretty intuitive and easy to grasp, but also fairly standard in terms of open-world design. Similarly, some items you come across will have multiple uses; a rag can be used to craft a molotov, which is helpful for taking out multiple enemies. Or it can be used as a bandage. Decisions like these will be make each player’s experience unique. In the mission I played, Deacon is tasked with finding medical supplies for a friend, Boozer, whose arm is badly burned by a group of fanatics called Rippers. Objectives can be found by bringing up the map, like any other open-world title. You can set waypoints, cancel objectives, and more. Story objectives are given as the narrative progresses, like when Boozer’s arm is burned. You also get side quests from NPCs in the numerous outposts throughout the world. In these communities, you’ll find vendors for buying supplies, along with the opportunity to fix and upgrade your bike. I stopped at one outpost very briefly and spoke to a few of the residents, who seemed to have a dicey relationship with Deacon. He doesn’t really belong to any outpost, instead staying on the fringes while he takes odd jobs here and there. He’s not quite an outsider, but he doesn’t really belong either. When I arrived at the checkpoint that contained the medical supplies I needed, I found it to be overrun with freakers, who mindlessly meandered around the camp. These checkpoints can be scavenged for supplies, such as melee weapons, healing items, ammo, and bike parts. The more supplies you find the better. Unfortunately, the trailer that contained the necessary medical supplies was locked, so I had to find gas to power a nearby generator. I successfully powered the generator on—but that soon led to more problems. With power back up at the checkpoint, an alarm I forgot to disable started blaring, alerting a small group of nearby freakers. It was a chaotic moment, but it showed the beauty of Days Gone. Sony Bend gives players the ability to tackle objectives in multiples ways. Players can utilize stealth by hiding in the shadows, or they can go in guns blazing—something I wouldn’t recommend because freakers aren’t exactly easy to take down. After ducking into one of the trailers, I picked up what I needed to fix Boozer’s arm, and also stumbled across an injector that contained a serum to upgrade Deacon’s abilities. I could either increase his health, stamina, or focus, the latter of which allows Deacon to slow down time when players unlock a focus shot ability. When I ran out of the trailer, I quickly ran to my motorcycle and began to drive away. But one of the freakers lunged at Deacon, knocking him down. That dealt a ton of damage to Deacon’s bike; I barely managed to escape. It was one of the demo’s more tense moments, highlighting how unpredictable the game can be. 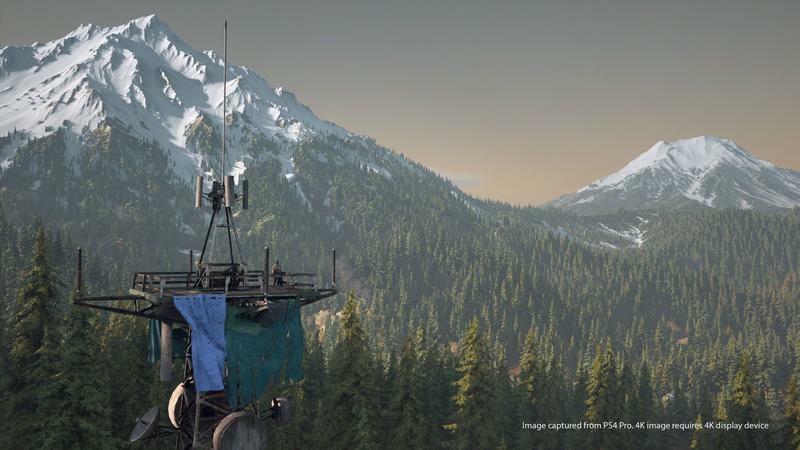 As I further explored the world, it gave me the opportunity to slow down and admire the sheer beauty of Days Gone’s take on the Pacific Northwest, which is lush with towering trees and snowcapped mountains. The environment actually plays a big role in the game. Weather is dynamic, which ultimately affects how the game plays, including how Deacon’s motorcycle drives and how freakers behave. When the sun gets low, that’s when freakers get especially ornery. I enjoyed the difficult challenge of navigating Days Gone’s open-world, which feels alive and filled with danger. Nature is a force unto itself, and freakers are truly terrifying. Players also have to navigate the different human characters who are also trying to survive. I was less impressed by the shooting, mainly because it didn’t feel that different from The Last of Us or Uncharted. But Days Gone still felt different enough from what we’ve seen from other survival horror titles, while delicately blending the best of other open-world games. It’s deep without feeling daunting, gritty without being gratuitous, and intriguing enough that I’m curious to spend more time with Deacon when Days Gone eventually comes out next year.